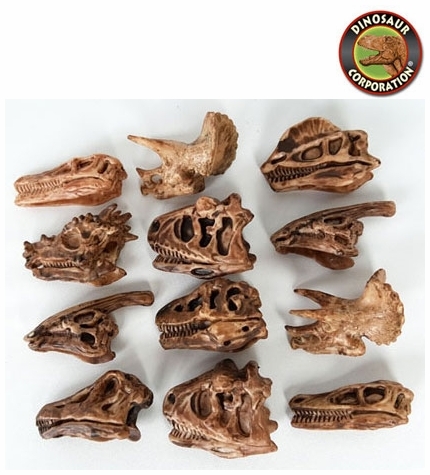 The perfect selection of dinosaur skulls for your kids dino dig party. Discover dinosaur skulls in sand. The best known Jurassic World dinosaurs are T-rex, Triceratops, Brachiosaurus, Velociraptor, Stegosaurus, Pachycephalosaurus, Parasaurolophus and Spinosaurus. 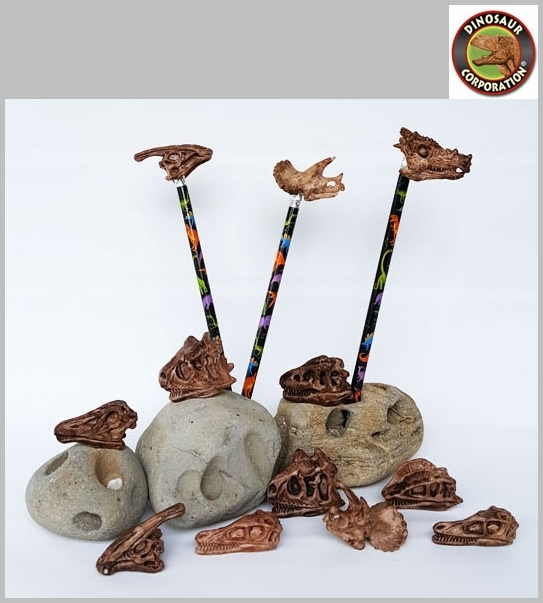 After fossil discovery, kids can use dinosaur skulls as a pencil top. This is the back to school winner!